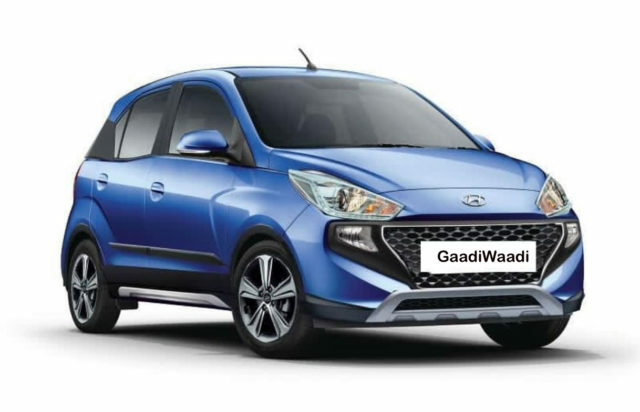 Hyundai Motor India Limited (HMIL) resurrected the Santro nameplate with huge anticipation and introduce the new model back in October as part of celebrating two years since the original tall hatch came into existence. In its first month, the new Santro managed to register 8,535 unit sales and followed it up with 9,009 in November 2018. The new generation Santro has begun its journey quite impressively sticking by the brand’s expectancy of selling 9,000-10,000 units every month. In the last month of 2018, the South Korean auto major registered a total of 7,197 units and it was the twelve best-selling car in the country. Hyundai is also planning to export one-fourth of the total production to international markets from this year. The Santro has received a brand new rival in the form of third-gen Maruti Suzuki Wagon R a few days ago but comparing its December 2018 sales with other competitors gives us some idea of where it currently stands. The Maruti Suzuki Celerio, Renault Kwid and Tata Tiago are the other big nemesis for the Santro and due to the year-end discounts, the Celerio did come out on top. A total of 9,000 units were retailed at YoY growth of 46 per cent for the Celerio in December 2018 but the Kwid and Tiago did fall behind the Santro with 5,832 and 5,628 units respectively. While Tiago’s sales were up by 7 per cent when pitted against the same month the previous year, Kwid’s downward trend did continue as it suffered a 16 per cent drop despite receiving a minor facelift last year. 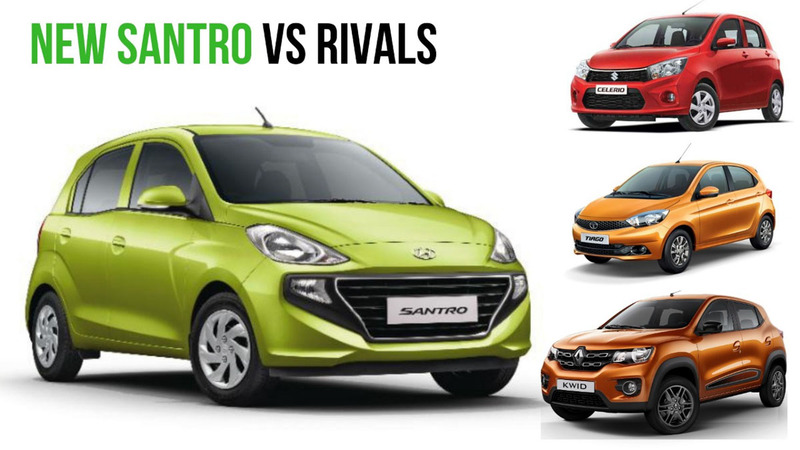 The Santro is expected to endure consistent sales figures through this year and its rejuvenated rivalry with Wagon R is going to be nothing sort of fascinating. Priced between Rs. 3.89 lakh and Rs. 5.64 lakh (ex-showroom), the Santro is built on a new platform with 63 per cent high strength steel construction and is powered by a 1.1-litre, four-cylinder petrol engine making 69 PS and 99 Nm torque. It is connected to either a five-speed manual transmission or Hyundai’s first-ever five-speed AMT with ARAI-certified fuel efficiency of 20.3 kmpl. The CNG version, on the other hand, develops 59 PS and 84 Nm and is claimed to return 30.5 km/kg.